NOTE: This is NOT an actual Dragonball storyline...but a work of fan fiction. Like FUNimation Entertainment will go for a hackneyed story like this...j/k! One hundred years after the original Z Fighters protected the Earth, a new generation of human and alien warriors were born to protect the planet from future forms of evil. 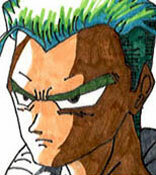 Among these warriors were several powerful Saiyans who were unlike anything any being had known a century earlier. While the legacy of the Super Saiyan named Goku lived on, one of his descendants had even greater strength that would have allowed him to easily take on any foe that proved a difficult challenge for Goku and his friends several generations earlier. That descendant's name was Spar. Having a pure heart and the same love for fighting as Goku, Spar was a role model to most of the warriors who were in his Special Forces team. 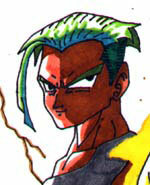 The son of Goku Jr., Spar was so powerful that when he was a young boy his power level was already 70 million. A reason for this was the amount of energy that accumulated in his family's bloodline ever since Goku became a Super Saiyan more than one hundred years before Spar was born. 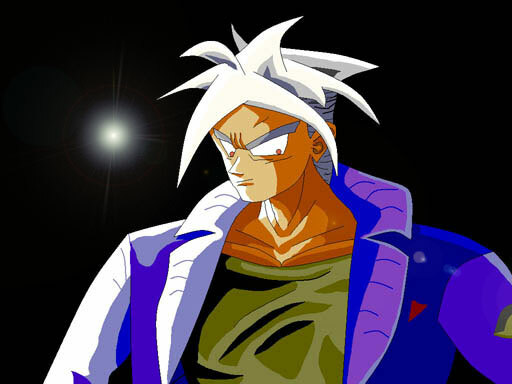 When he was a teenager, Spar had the power level of 110 million. At Super Saiyan level, his strength was at 400 million. As time progressed and Spar fought against different opponents--including Z-era foes like Frieza, the Androids, Cell, and Mr. Boo--in simulated combat, he accumulated enough energy to turn him into a type of Saiyan that Vegeta would have killed to become back in his days: a Mega Saiyan. Interestingly, Spar used a time machine to go back in time to actually share some energy with Goku, Vegeta (but not until he promised Spar that he wouldn't use it to challenge Goku) and the other Saiyans (Trunks and Gohan). But there was a reason for this: an alien warrior much stronger than Spar was also using a time-traveling device to go back to any event in history and change it to his destructive purpose. Aware of Goku's legacy, this villain went back to the Super Saiyan's time to destroy him (and in turn prevent Spar from ever existing). At Mega Saiyan level, Spar was at 986 million. 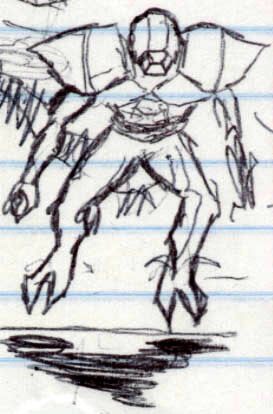 The evil alien warrior, whose name was Nomed, had the power level of 1 BILLION. 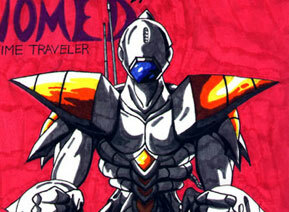 While Spar had enough energy to protect himself from most of Nomed's powerful blows, he did not have enough energy to defeat the evil time traveler and survive to talk about it. Spar and Nomed engaged in several battles before they ended up confronting each other for the final time back in Goku's time period. In a fight that preceded the epic encounter, Spar was able to injure Nomed in a way that forced the warlord to upgrade the armored suit he was wearing (but this was actually when Nomed had the power level of only 990 MILLION...four million more than what Spar had at the time). 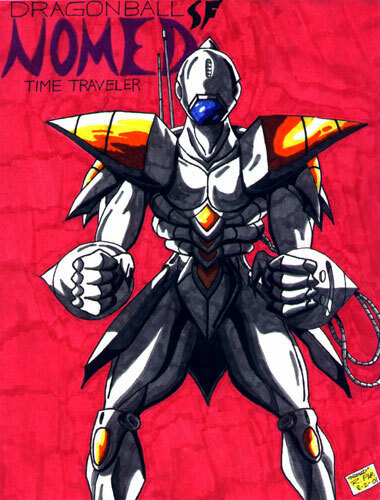 Unfortunately for Spar and the Z Fighters who would later confront him as well, Nomed's new suit had much stronger armor with the time-traveling device built into it...which prevented Spar from destroying it before the villain could escape to another time period. 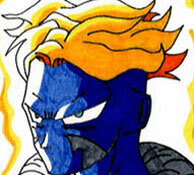 While Spar stood his ground against the warlord, he did not have the ability to create a special weapon that Goku had. Like Vegeta, Frieza, and the Androids before him, Goku had to resort to the Spirit Bomb taught to him by King Kai to try to beat Nomed. Unlike against Vegeta (who, along with Piccolo and the other Z Fighters, also took on Nomed but were no match) or Frieza, Goku did not throw the Spirit Bomb against Nomed. Instead, he absorbed the energy...and in the process, achieved a power level that Spar thought could not be attained beyond the Mega Saiyan level. 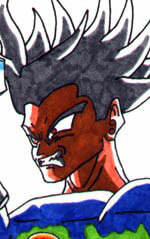 While Spar and Goku looked alike in that they had white hair and red eyes when they went past Super Saiyan status, Goku reached a power peak that made him stronger than a Mega Saiyan (Vegeta was also a Mega Saiyan, while the energy Spar gave to Trunks and Gohan only made them Level 4 Super Saiyans). At 2 BILLION in his power level, Goku became an Ultra Saiyan. Just when it looked like Goku was going to defeat Nomed the same way the Super Saiyan defeated the Z-era foes before him, Nomed unexpectedly increased his power level...this time to 2.5 BILLION. Although he was only slightly stronger than Goku, Nomed was still able to inflict some blows that weakened the Ultra Saiyan. 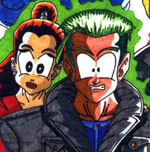 Before he was able to finish off Goku, Spar's wife Cecil, their young Super Saiyan son Ibin, and the other Special Forces troops appeared in a time machine to help the Saiyans defeat Nomed. Unfortunately, these new arrivals were no match for the warlord, and Spar's son Ibin and several Special Forces troops were destroyed in the process. It was at this moment that Spar showed that he was unlike Goku or any of the other Saiyans before him. As a weary Goku and the other warriors looked on, Spar was suddenly engulfed in a ball of energy as an uncontrollable rage consumed him. With everybody--including Nomed--watching in shock, Spar's body mass became larger as he transformed into a warrior that the other fighters never encountered before. Although Spar still had the appearance of a Mega Saiyan, Goku knew he reached a level beyond that. 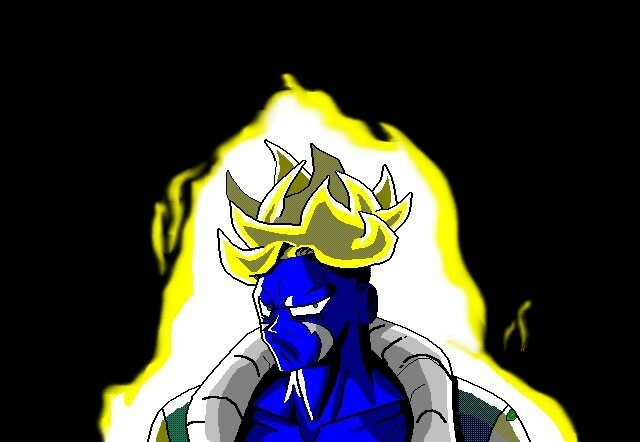 Spar was at Ultra Saiyan Level 4 (10 BILLION). With Earth's Special Forces still in disbelief, Nomed used the distraction to take them out with one lethal blow. But as he was about to launch an enormous ball of fiery energy at the heroes, Spar suddenly teleported in front of the warlord...the Ultra Saiyan flicking his fingers lightly at the energy ball as a stunned Nomed watched it suddenly deflect out of his hands and towards outer space. After this happened, an enraged Nomed threw a powerful punch at an even more enraged Spar...making the warlord's effort all for naught. The rest of the Special Forces watched as Spar easily blocked Nomed's oncoming punch. Then, in a split second, Spar held the warlord's extended arm firmly in one hand and watched the villain jolt in pain as the Saiyan broke it with the other. Nomed was in even more shock as his armored helmet suddenly broke off when Spar punched him in the face...a spray of green blood flying away from the warlord's alien visage. In response, Nomed once again attempted to gather more energy. But as the warlord was about to reach 6 BILLION, Spar swiftly swung an arm--which was covered in an aura of fire--along the warlord's torso. Goku and the other warriors watched as Nomed's body separated in half, with Spar incinerating the two halves with the ball of red energy that surrounded the Ultra Saiyan. A few seconds later, there were no more signs that the evil warlord existed.